Have you been thinking about popping the question to the one you love? Southern California may just be the place to do it. Our wondrous blue beaches, serene parks and fine dining restaurants would all make for a memorable and romantic engagement. Take a look at some picturesque proposal sites in sunny So Cal. 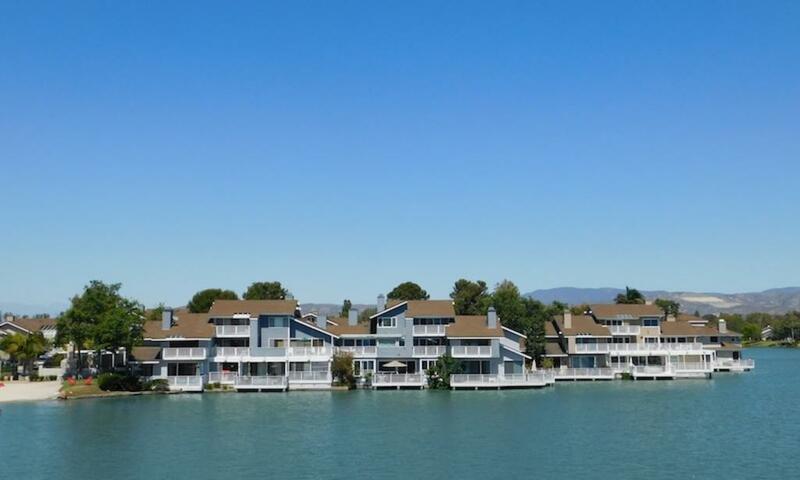 Woodbridge Village in Irvine is a hidden gem that boasts two large man-made lakes. My personal favorite, North Lake, has a charming, peaceful vibe. This quiet, untapped destination is ideal for an intimate proposal. I recommend taking the afternoon off with your significant other, packing a lunch and spending the day enjoying the crisp air. Be sure to bring extra bread to feed the ducks. This popular wilderness park is located in Lake Forest between Foothill Ranch and Santiago Canyon. 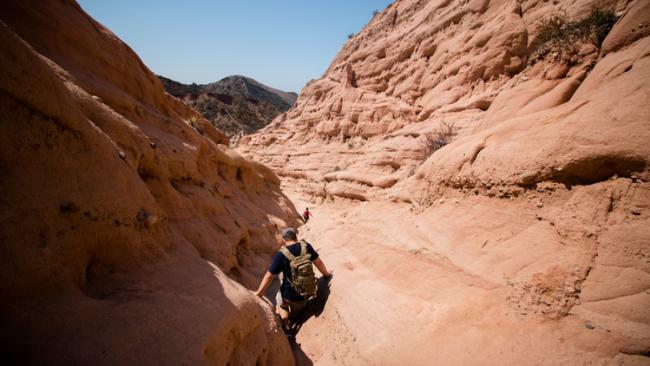 The roughly four-mile, two-hour hike is worth your time, especially for couples who are keen on the outdoors. You’ll encounter vibrant greenery and lots of dirt that will eventually lead to a desert landscape that looks right out of Arizona. The trail is well maintained but does have occasional dips and turns, so make sure the engagement ring is tucked away in a safe place. 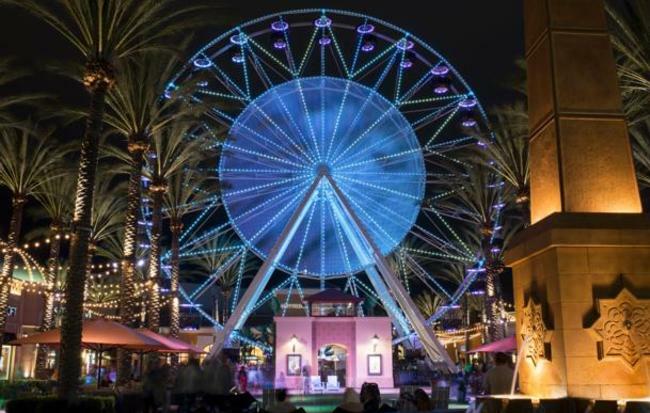 For those with no fear of heights, the Giant Wheel at the Irvine Spectrum is a thrilling spot to ask the question of a lifetime. The dazzling wheel projects 16 million color schemes for a vivid and beautiful photo background. Whether you plan to pop the question in the air overlooking Orange County, or on the ground in front of the lights, the view is simply remarkable. A long sandy white beach and the iconic Victorian La Tour Tower make for a picturesque destination. Nestled between the Laguna Beach cliffs and lavish beach homes, this spot is straight out of a fairytale. 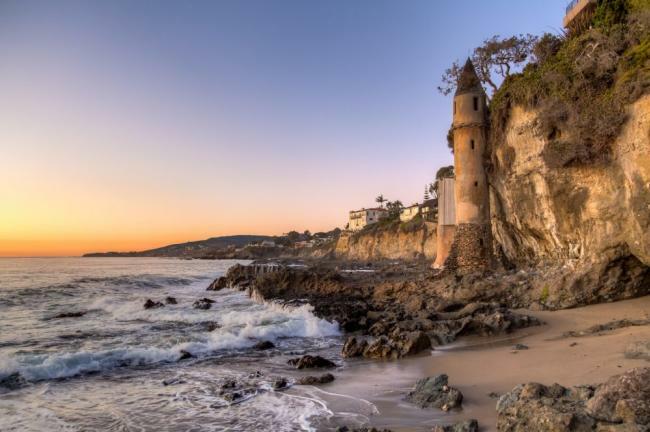 The tower, or “castle,” as it is referred to, was built in the 1920s and is a 60-foot tall wonder nestled against the cliffs. We recommend walking the spiral staircase all the way up to the top to take in the views. Imagine the thrill of proposing (or being proposed to!) 400 feet in the air. Well, only if your partner is up to it, of course. 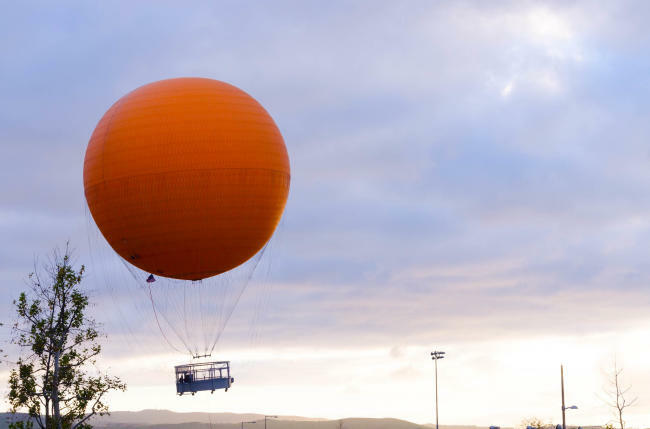 The Great Park Balloon is Orange County’s iconic attraction, offering 360-degree views of its surrounding landscape. On a clear day, you can see up to 40 miles worth of beautiful So Cal. Each ride holds up to 25 passengers. Choose this if you aren’t afraid of getting down on one knee in front of an audience. Known as the magical wedding venue, this Disney-owned garden contains over 800 perfectly manicured rose bushes. Take a stroll through the stunning garden leading to a gazebo, the perfect spot to ask your lover the most important question of your lives. After the proposal, celebrate your engagement by spending the day at Disneyland or Downtown Disney. With endless restaurant options and enchanting sites, you two will be destined to live happily ever after. For the foodie couple who appreciates a fine meal, Splashes Restaurant is an excellent engagement location. Situated in the luxurious Surf and Sand Resort, Splashes serves up seaside dining at its best. With the sea only 25 feet below, you can savor each dish and gaze into each other’s eyes while listening to the waves roll in. To make the occasion more memorable, spend the night in one of their oceanfront premium towers and take in breathtaking views from your balcony. From natural beauty to high-end dining, you’re sure to find the perfect proposal spot in Southern California. With the spot picked out, all you have to do now is pop the question. Jazmin Aguilar is the Social Media and Events Coordinator for Robbins Brothers and former Customer Experience Manager at various RB store locations. When Jazmin isn’t working on community engagement, she can be found in her kitchen cooking for her loving boyfriend, traveling or practicing hot yoga.